Need assistance understanding or posting bail? Need help getting out of jail? Peveto Law can get you the help you need! What If I Don't Want to Go to Trial? Have you been arrested for DUI or charged with another crime in Plano? At Peveto Law, we can proudly defend your constitutional rights and uphold your reputation. If your goal is to avoid a criminal conviction, then you can count on our Plano criminal defense attorney. Backed by a history of success and numerous client recommendations, we excel at communicating with clients at every step of their case, helping them to eliminate embarrassing criminal charges. We have the passion to work for the best outcome because we genuinely care about you and your case. Discover your possible defenses in a FREE consultation when you email us or call Peveto Law at 972-339-8033 today. 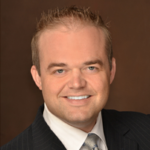 Attorney Andrew Peveto is a North Texas native who earned his undergraduate degree and law degree from SMU. He has defended more than 1,000 criminal defense and DUI clients and comes highly recommended by the people he has represented. He is further recommended by the legal community and familiar with judges and prosecutors in Collin, Dallas, Denton, and Tarrant Counties. Andrew Peveto is dedicated to securing outstanding results every time, finding creative solutions through plea agreements or through tough defense at trial. 3 years deferred adjudication, 80 hours of community service, drug classes and fine. Reduced to Class C Misdemeanor deferred, $400 fine – case dismissed after 180 days. Evidence suppressed at hearing and charges dismissed.